Okay, so I know this post is well overdue. It’s been over 2 months now since I actually did my detox in Bali and over a month since I wrote the first post in this series. I won’t lie. Life’s busy and getting busier each day. Many of you may have forgotten about my detox series but here I am, back to remind you that I did do a mini detox in Ubud and it was fantastic. So, let’s get on with what happened on day 1. I wake up eager to start the day even though I had a fitful night. I regret not bringing my fleece onesie along. I didn’t expect it to be so cool. But, there’s no time to dwell on that. It’s the first day of my mini juice cleanse and I’m pumped to get started! I arrive to the Kush Spa just before my 8 o’clock appointment. I pour myself a glass of water from the fountain and sit back in a wooden chair. It’s hard and uncomfortable, kinda like what most people think a detox will be. 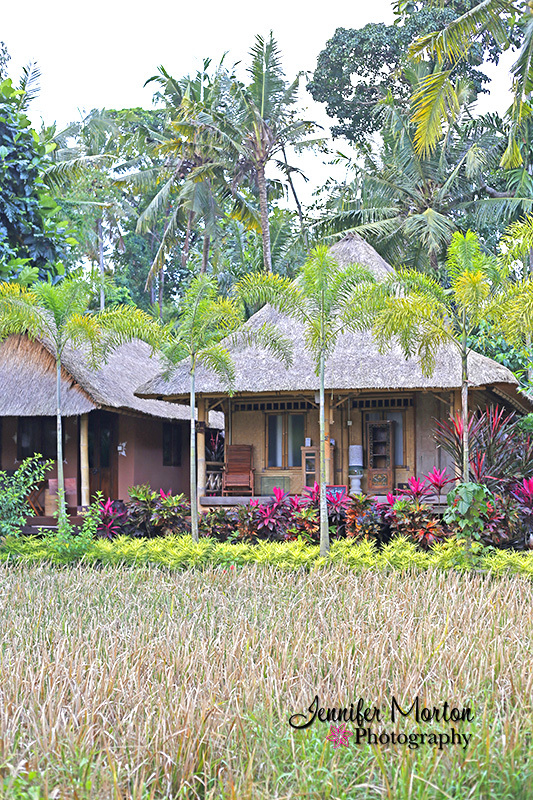 The deck of the Colonic Hut looks onto a small rice field. It’s dry and brown but the birds love it. A petite woman arrives and heads to the door. I sit up in my seat. “Hi, are you Andrea?” I ask. Her accents suggests she is American and her smile shows that she is friendly and approachable. She shows me to a small office just inside and to the left of the main entrance. Categories: Food, Health, Travel, Wellbeing | Tags: Andrea, Bali, cleanse, coconut water, colonic, detox, green juice, juice cleanse, the Yoga Barn, yoga | Permalink.